First come, first serve seating. Seated Program – first come, first served. 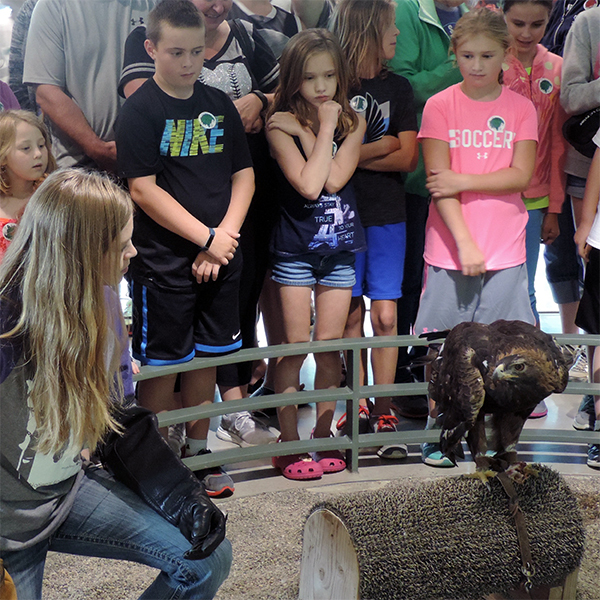 Have you ever wondered, “How much does an eagle weigh?” or “How big is their wingspan?” The answers await you in these engaging and entertaining live eagle programs. Through hands-on and interactive teaching our staff of naturalists will share the biology, ecology, and natural history of bald and golden eagles. 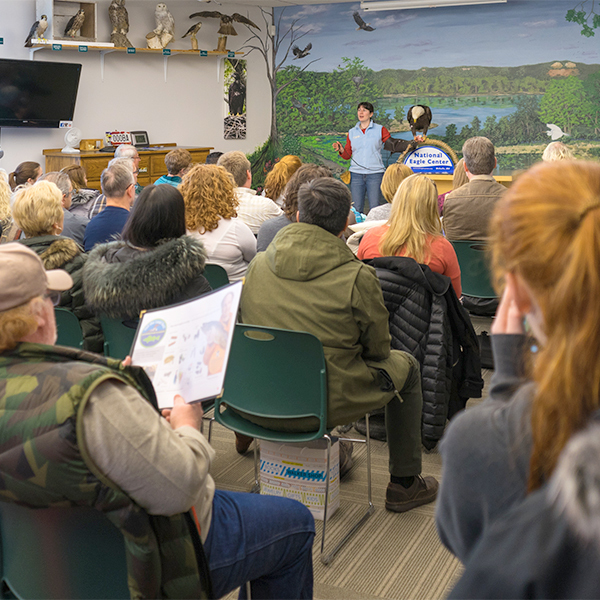 All of our presenters are knowledgeable, engaging and eager to share their passion for eagles with visitors of all ages. The classroom program typically last about 45 minutes and each program features an eagle feeding.